In any life, there are events that shake us to the core. Some occur when we are very young, and they remain the reach of memory. Others persist in detail so heightened that it verges on the surreal, as if painted onto our retinas by a Salvador Dalí employing a tiny brush. When I was eighteen months old, I was trampled by a boar hog with tusks. He ripped my head open, left a deep dent in my skull and nearly took out my left eye. Had my father not been able to kick the five-hundred pound beast away just in time, he would have eaten me for breakfast. I have no recollection of the event whatsoever, except what I was told by my parents, and the occasional nightmare, in which hogs are rooting around in my bed. More than forty years later, I stood in the season’s first snowfall on the slopes of Mount Royal, witness to the surreal aftermath of the massacre at the École Polytechnique. As city columnist for The Gazette and one of the first journalists to arrive on the scene, it was my job to write something coherent about an event so overwhelming that even then, I understood that there was a truth about it that would lie forever beyond language. Those two incidents represent the poles of my writing life. One is not recalled at all, the other remembered in hallucinatory detail. One is intensely private, the other entirely public. The only thing the private near-tragedy and the public tragedy have in common is that I have found them both extraordinarily difficult to write. In one form or another, I have attempted to get that boar attack into satisfactory prose for decades; most recently, it appears as a chapter in a new novel called Rose & Poe. It was a pivotal event in my family because my mother never forgave my father for letting me get into that corral. She was laid up with a broken leg and he was supposed to be watching me, but he was distracted by a horse he was working, and my near-fatal injury became the focal point for her intense hostility toward the feckless man she married. This is, or should be, the stuff of fiction. On the other hand, the difficulty with my endless attempts to write the story of the Polytechnique massacre is that the tragedy is so unequivocally real. Above all, every time I try to write it, there is a sense of duty to the fourteen women who were slain that day, a need to live up to their memory – and a perpetual sense of failure in meeting that task, which carried through to my recently completed 25th anniversary piece for The Gazette. The writer’s role in these public tragedies is particularly important in our age of disposable grief. As public tragedies are endlessly invoked, they lose their power to shock and, eventually, their ability to arouse any genuine emotional response whatsoever. Think of the crumbling towers of the World Trade Center, and the gap between our reaction today and during those first horrible hours on September 11, 2001 when we watched it unfold on our television screens. As an event is trotted out again and again on television, accompanied by the sententious tones of the talking heads who tell us how to feel – and when we are expected to stop feeling, meaning as soon as the next tragic event crowds itself into the news cycle – the repetition drains it of its emotional charge. The result is a pro forma response, accompanied by the public expectation that we behave in a certain manner: buy a poppy, express again the shock, horror and outrage, take part in public displays of grief that have been hijacked as photo ops by politicians – and move on. That is easier said than done. We have many potential responses to catastrophic events. Silence, even for writers, is one. There is something noble about remaining silent in the face of the most deplorable events – except that when you are a professional writer, the only way to avoid writing about them entirely is to walk away from your career. If you choose to write you will have to accept that you will always fall short, that you will come up against the boundaries of talent and perception, that you will always feel some more profound truth lies just beyond your grasp. Our aspirations, the stories we imagine that we will write, are always greater than the result. When the story we are trying to get at is not one of great import, we can shrug and move on. After all, even the most deceptively simple narratives are fraught with pitfalls and opportunities to founder. When the occasion is one of those iconic moments that shape our age, especially when the core of the experience is profoundly tragic, the inadequacy of mere words is inevitably more painful to a writer struggling to live up to the demands of the craft. Next time, I’ll get it right. Jack Todd is a native Nebraskan whose flight to Montreal during the Vietnam War is the subject of his QWF prize-winning memoir, The Taste of Metal. 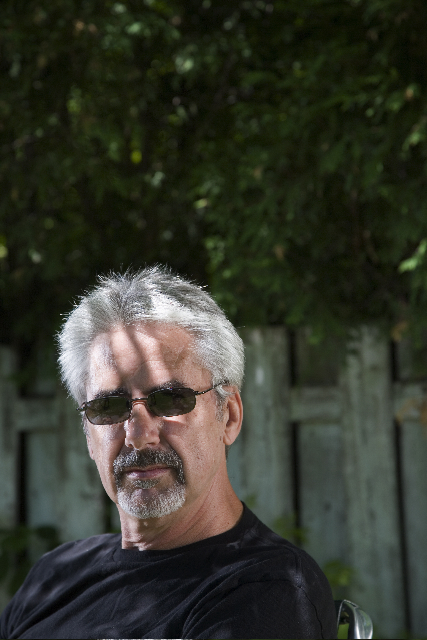 Todd has been a columnist for The Gazette for the past twenty-five years and has also published three novels. Reblogged this on Writ of Rags. All I can say is Thank You, Jack Todd, for saying what many of us realize but were unable to articulate. And in the end, isn’t that what a seasoned writer may be best at, after all? Image-filled, rich. Reblogged this on Audaces fortuna iuvat. I agree with what you said, and I’m glad to not be the only one who feels the same. The repetitiveness does become emotionally draining, and the coverage for such events less and less reliable. I am at the beginning of my blogging journey, the act of writing for the public to read, critique, and even dislike. What you wrote above touches me in a way I can’t quite describe. I have never written for the joy of it but rather to release some hidden emotion. Of course I find joy in writing because its as if I have cleaned the slate ready to start fresh. Sometimes though, I can’t find exactly what it is I want to write, its there in my mind but refuses to reveal itself until I put the pen to paper or my fingers to a keyboard and out it comes and its not at all what I thought it might be. But its out. The slate is clean again. Ready for the next inspirational moment or not.